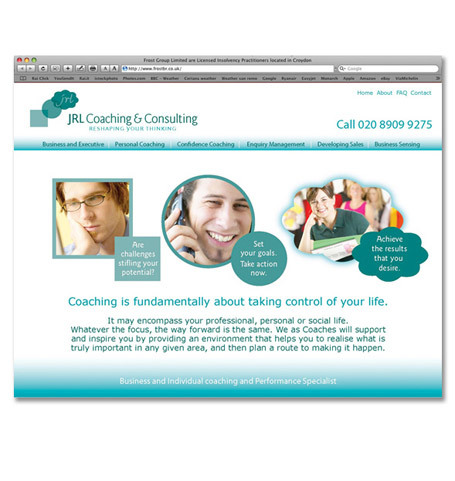 A business coaching consultancy with a different approach to change and growth. With a new brand that suggest a path of growth using different shapes and tints we created a website that communicates conceptual thinking both visually and typographically. Light and soft but with a clear message of understanding and support. Easy to navigate to appeal to a broad spectrum of business and personal users.